Whether your kids are a toddlers or a teenagers, you play a part in shaping their development and self-esteem. Hence, it’s not only important for you to be a good role model, but to also find ways to integrate them into your life. By doing so, your kids would feel that they add value to your life and as a result, form a healthy level of self-esteem and identity. Here are 5 ways you can make your kids feel appreciated. When you praise your kids for their effort rather than ability, you’re teaching them to attribute their success to their effort. More importantly, you’re enabling them to understand that working on developing skills is more important than pure talent. By showing that you’re proud of them for expanding the effort in doing tasks, they would be more motivated to improve and even develop a growth mindset. Every kid is unique – including yours. So make it a point to not compare him or her to siblings, peers or relatives. 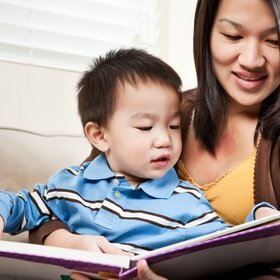 By doing so, you’ll help your kid to embrace his or her unique traits and strengths and as a result, become confident. Driving your kids to and from school isn’t counted as quality time! To really foster a strong bond with them, it helps to put down your smartphone and spend quality time with them. Go on family outings to check out new places or pick up a hobby together, and set aside that time to be with them. Your kids may have a hobby they want to pursue – be it art, ballet or karate. Whatever it is, be supportive and let them try it out instead of writing it off. When you encourage them to go after what they want, you would become their pillar of support and they’d be more likely to confide in you. By letting your kids weigh in on decisions, you’re enabling them to feel like valuable members of your family. (Yes, even if it’s just choosing a place for dinner!) So why not include them in some of your discussions and really listen to what they have to say without interrupting them?